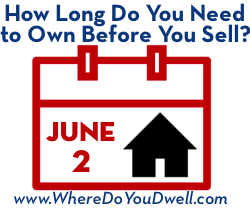 How Long Do You Need to Own Before You Sell? 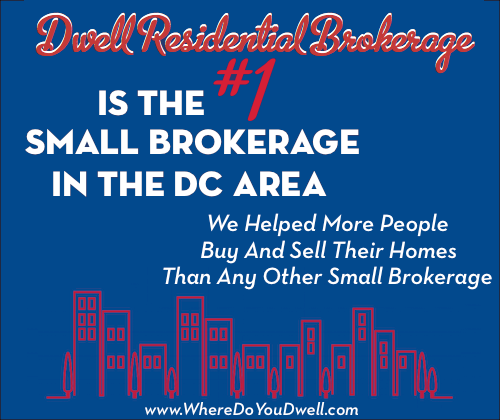 Whether you want to make a quick profit from the rising real estate prices in the DC area or you face an impending move out of state, it’s important to know how long you’ll need to commit to owning your home for all sorts of reasons. According to Zillow, it is a better financial decision to buy instead of rent if you plan to own your home for 4.2 years or more in the DC area. But, buying a home is very neighborhood specific, so how long do you need to own your specific home before it makes financial sense to sell? We break it all down for you right here! Everyone would like to make a profit or at least not lose money — break even — on their home when it comes time to sell it. A true “break-even point” is not simply what you originally paid for a home. It’s more complicated than that. This figure also includes the costs associated with buying and owning, tax benefits you’ve taken advantage of during your ownership and then the cost of selling your home. You also need to factor in the equity you’ve gained in your home and also any appreciation in its value since your purchase date. To determine how long you need to hold onto your home, you’ll need to calculate the break-even sales price by adding up your complete expenses for buying and selling a home. This is often called your basis. First, pull together the total expenses for your home purchase — original purchase price plus your closing costs. Next, calculate the costs of owning your home — repairs, maintenance and any upgrades. Then, figure out the cost of selling your home. Generally speaking you will need to estimate about 6-7% of the selling price — includes commissions for both agents, sales taxes, and attorney fees. Equity in your home (principal paid toward your mortgage). Don’t forget about the tax refunds you received while owning as well. Plus, any increase in appreciation needs to be included. Once you have the figures above, you’ll be able to determine when it makes financial sense for you to sell your home. What’s Appreciation and Equity Got to Do with It? Every buyer wants to build equity in their home and also own a home that appreciates in value. These two factors can help you get to your break-even point sooner or allow you to make a profit on the sale of your home. Equity = ownership. The more equity you have, the more home you actually own. You gain equity when you pay down the principal of your loan. One reason the “five-year rule” exists is that it takes time to build equity when you have a mortgage. In the first few years of your mortgage, more of your monthly payment goes toward the interest on the loan and less goes toward the principal. So you’re not really building much equity early on. As more time goes by your principal slowly goes down, causing your interest payments to be less, and that’s when more of your payment will go toward your principal. With lower interest rates, it’s making it less costly to pay down your loan! Appreciation = value gained. Your home’s value will hopefully increase in value over time. You might also do improvements to the property to increase its value more quickly. In a perfect market, the longer you live in your home, the more it will appreciate in value. That is why you’re encouraged to live in your home for at least five years to reap this gain. However, the housing market can be unpredictable – homes can quickly appreciate in value like the real estate boom back in 2006 or it can be a bust, leaving many owners with homes underwater. So what can you do to protect yourself and hopefully break-even or make a profit on your home? Here are some strategies to keep in mind to speed up your break-even timeframe or make your homeownership a financial plus for you. Pick the right location. This has a HUGE impact on your home’s appreciation. Think carefully about the neighborhood, street, and community of your home. Is it an up and coming neighborhood or one going the opposite way? Always think about possible resale value before you purchase. Avoid buying the best home on the street. This type of home may never appreciate as much as you would like because of the surrounding homes (which benefit from yours!). Look at appreciation values over several years for a neighborhood to get a sense of its stability and long-term patterns. Are home prices rising? Are condo units in the building gaining value? You can find out the average appreciation rate from your realtor. Avoid having a large mortgage. Basically, don’t overspend on your first home since it affects your ability to buy your next home. You’ll build up equity faster with a smaller loan. So if you can’t put down a large down payment, then buy a home where you can afford a smaller loan. You don’t want the bank to own more of your home than you do for a longer time than necessary! Make improvements to the property. But be careful not to over improve or you may be lose money! Qualify for a low interest rate. The lower your mortgage rate, the less you’ll pay toward the interest and the sooner you’ll be “owning” your home. A good rule of thumb to follow for buying in DC and the closer-in suburbs is to plan to own your home for about five years or longer, but this time period may increase or decrease based on everything we’ve explained above!